Early Bird registrations have been extended to March 25 so please ensure you register in time for this key sector event. Registration is online at http://www.nzccss.org.nz/ (or click on the conference icon on this Policy Watch). Here is a nice letter of thanks published in the Gisborne Herald reminds us of all the good work that is happening every day around the country (Te Wiremu is run by Anglican Care Waiapu). In a press release from ComVoices, an independent network of Tangata Whenua, and community and voluntary sector organisations Ros Rice, Executive Officer of the New Zealand Council of Social Services (NZCOSS) makes the important point that, “This report reiterates to us that the Government’s plans to offset any increase in GST for those on low incomes needs to also consider how the inequalities of the current tax system will be addressed.” Well said. Also listen to our EO’s interview on Radio NZ’s Waatea news for 12 March 2010 shortly after the release of the fourth Vulnerability Report regarding the impact of the recession on Maori. Grahame Armstrong from the Sunday Star Times (14 March) has managed to access a bit more detail on tax reform as the ‘government puts the finishing touches to its package of tax cuts’. In the May Budget it is expected that that the tax rate will be lowered across the board with the first $14k being taxed at 10% rather than 12.5%, and that earnings between $14k and $48k taxed at 19% rather than 21%. This is where the bulk of earners sit in the tax scale. The paper also claims that there will be a one hit reduction in the top tax rate (for those earning over $70k) from 38% to 33%. In an interesting little table they show the in-the-pocket different between tax cuts after a GST increase is taken into account. Unsurprisingly, the combination of tax cuts and increased GST favours the rich much more than middle and low income earners. Those earning under $19,600 take home pretty much nothing compared with top earners. By focussing on economic growth, the tax changes look likely to increase inequality. 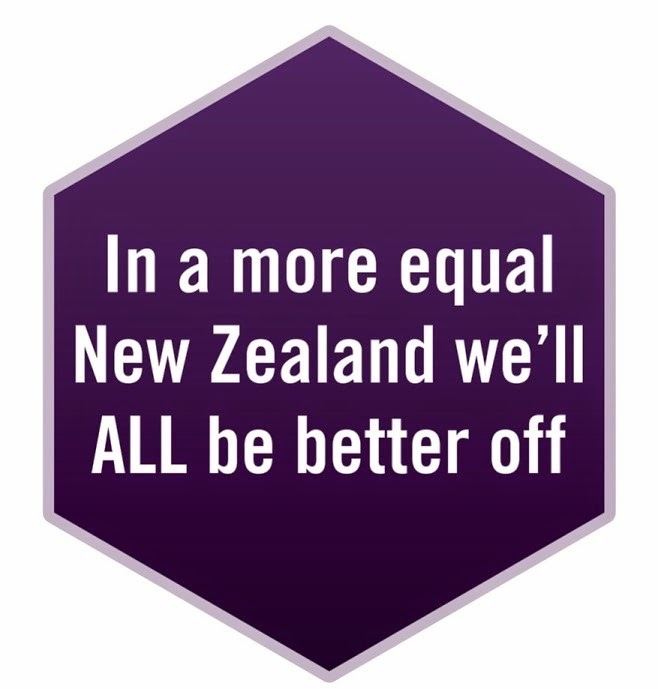 Have the politicians not read The Spirit Level: Why More Equal Societies Almost Always Do Better? A more detailed ‘tax impact’ table appeared in the Dominion Post on March 20. Again, the inequality in the redistribution of wealth likely to result from reforms is evident in this article too. The Office of the Children’s Commissioner has just released ‘This is how I see it’ Children, young people and adults’ views and experiences of poverty. Issues of poverty were explored with 56 children, 32 young people and 8 young adults living in nine lower socio economic communities. In the last issue of Policy Watch we discussed the Rodger Douglas’ Minimum Wage (Mitigation Of Youth Unemployment) Amendment Bill – the bill to reintroduce youth rates, ostensibly needed because abolishing youth rates has lead to increased youth unemployment. Gordon Campbell picks apart this ‘fallacy’ in his article Valuing the Young: The right’s ideological crusade to bring back youth rates. The good news is National has recently indicated that they will not be supporting this Bill. Read the Age Concern submission on the Electricity Industry Bill to find out why the proposed changes (which promise to increase competition in the electricity market) are unlikely to result in more affordable power prices for domestic users. It is unfortunately that this Bill focuses on ‘improving security of supply’ and ignores issues of affordability for this essential service. It’s also worth reading commentary from the Domestic Energy Users Network (DEUN) on the impact of the Emissions Trading Scheme on electricity prices. The first price increase will take place from 1 July 2010, couple this with likely increases in GST and it could be a cold winter for people on low incomes. University of Waikato researchers are embarking on a three-year study of dying, death and bereavement among contemporary Māori. The Kia Ngawari study aims to increase knowledge and understanding of Māori palliative needs, both within the healthcare system and among whānau. A recent press release by the university highlights how the study “will also help identify the gaps in help available from formal and informal services, such as the health care system, rest homes, funeral services and Māori support systems”. Find out more about ways you can protect your brain and body to lessen your chances of developing dementia in the Alzheimer’s New Zealand press release. Labour MP Charles Chauvel's member's bill - the Credit Reforms (Responsible Lending) Bill was introduced to Parliament last August and is likely to have its first reading sometime in April. Carole Beaumont, who has taken over the Bill, says it will be part of a bigger campaign to crack down on unscrupulous money lenders. "The reality is we need to get some strong legislation in place so that piranhas, those targeting the most vulnerable in New Zealand, can be more responsible," she says. Darryl Evans, Chief Executive of Mangere Budgeting and Family Support Service, estimates that 60% of their client have “used mobile shop trucks”. Interestingly, he also used the term “piranhas”. Darryl Evans was also on television on March 11th discussing his concerns about the impact of possible rent increases on low income families if tax reforms for property investors come into effect. If the reforms remove the ability of landlords to claim against property depreciation, it is estimated that the annual average $1700 of lost income may be passed on to tenants, pushing up rents by $30-$45 per week. Such increases would, he believed, push people out of the private housing market leading to more overcrowding in relatives’ homes and more people living in garages. Irrespective of the actual size of the increase, which can’t be accurately predicted, for the clients of Mangere Budgeting, any rent increase is unaffordable. Demand for budget and family support had grown so much that the service had to move to new larger premises in June 2009. HNZC has announced in a beehive press release that their trial Options and Advice service will be rolled out nationally over the next three months. Mr Williamson (who took over the portfolio after Heatley’s resignation) said the service would provide customers with information about state housing, private rental housing, and government assistance available to help sustain their current housing situation, and services available to help with home ownership. While we support the move to ensure that people who are eligible are receiving the Accommodation Supplement, it’s difficult to see how providing advice on the private rentals and options to buy will be helpful for the many people on low incomes who can’t afford either. Violet McCowatt, Grey Power Spokesman for Social Services, was appalled when the Government indicated that was looking at downgrading the SuperGold Card Free off-peak Transport scheme. However, shortly after their press release they were given assurances by the Minister’s office that services would not be cut, rather the review will focus on the level of subsidy paid to the operators and admin costs. It’s clear the government is trying hard not to upset older voters. While politicians push through punitive approaches to dealing with offending (such as three strikes) they conveniently ignore the wealth of evidence about what works. They also overlook the impact of incarceration on the children of prisoners. A new report called Invisible Children released by Pillars helps to meet a research gap in NZ. 43 interviews with caregivers and some of the children of caregivers helped to inform Invisible Children which is the first report of a three year study. Let’s hope some of our politicians read it. We will monitor the progress of this bill. Kim Workman Director of Rethinking Crime and Punishment explains to the NZ Herald why the latest changes to the Sentencing and Parole Reform Bill (aka 3 strikes) are “an injustice”. “Kim Workman says the amended bill is worse than the original, because it means an offender who would receive a two-month sentence in today's court could be sentenced to decades in prison for the same offence under the new bill.” It was disheartening to read that the select committee had received 1075 submissions and only 32 were in opposition to the three strikes legislations. This reflects that public’s misconceptions about the effectiveness of prisons in improving public safety. It’s alarming to read that Corrections has taken away funding for NZ Prisoner’s Aid and Rehabilitation Societies (NZ PARS), an organisation that has for 51 years been providing support to released prisoners to help with their reintegration into society. The NZ Herald reports that the $2.5m contract with Corrections was lost because “of an internal split and a falling out with Corrections Minister Judith Collins”. Irrespective of the reasons for the difficulties it’s hard to imagine problems being insurmountable, particularly when our prison muster is over 8000. And $2.5m is a relatively small amount given the Vote Corrections 2009/10 budget of $1,467.947 million. A Prison Fellowship press release reminds us of the important role of hope in rehabilitation. We will watch with interest the development of their new Target Communities programme “where community groups take the responsibility for caring for a prisoner on release so that they won’t ever go back to jail”. Prison Fellowship have organised the Unlocking the Future conference that is open to anyone with an interest NZ prisons. Prisons are often in the news but few people really know how the system works and the various opportunities there are to assist prisoners in their rehabilitation and reintegration. And while on the theme of criminal justice, the Maxim Institute has organised two lectures on what they describe as ‘criminal injustice and the proposed “three strikes” law. In their flyer they suggest that the three strikes proposal (currently progressing swiftly through Parliament) “risks gross distortions in sentencing practice; departs from central principles of our sentencing regime; and if international evidence is anything to go by, is likely to have many undesirable consequences”. The Wellington lecture by Warren Brookbanks is scheduled for 31 March, and the Auckland lecture by Dr Richard Ekins is scheduled for 7 April. In the Wellington Community Law Centre Community Newsletter for January-March 2010, their General Manager Geoffrey Roberts, discusses the centre’s concerns about the direction of criminal justice policy in NZ. Again, the three strikes legislation is cited as a ‘major concern’. He poses the following critical questions: Are we comfortable as a nation having the second highest incarceration rate in the world? Does imprisonment really work? If it doesn’t, then why do we keep doing it? How much money are we comfortable spending on prisons each year? The WCLC wants to profile these issues and intends to engage with other concerned individuals and organisations. If you are interested in being part of this conversation contact the WCLC on 04 499 2928. It’s not all bad news on the criminal justice front. A good example of innovation is a new approach being trialled in Porirua. As the Dominion Post explains “two judges are spearheading a radical new approach to slow the courtroom's 'revolving door' system, by tackling the underlying causes of crime in Porirua. Their plan includes pulling dozens of community groups in to help, while anchoring the court back into the community it serves”. To their credit, both Judges have spent months visiting over 30 local community organisations to discuss the issues and support services available. The Justice Minister is watching developments with interest. On 16th March TV one ran a Real Crime and Punishment doco that asks whether putting people in prison is effective and are we any safer. A number of experts are interviewed including Principal Youth Court Judge Andrew Beacroft and Rethinking Crime and Punishments Director Kim Workman. Several prisoners also share their stories. The one hour documentary includes an examination of the Finnish criminal justice system which has a prison muster one third the size of ours.